'Father of Modern Chemistry' who helped construct the metric system and discovered the role oxygen plays in combustion. He was guillotined by the French Revolution in 1794 for being a tax gatherer. 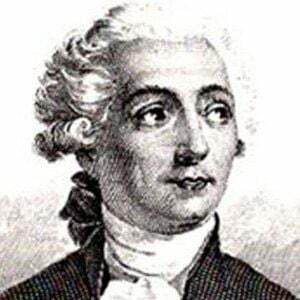 He became a member of the French Academy of Sciences when he was 25. He was the first to discover and name the elements, sulfur, oxygen, and hydrogen, which are now seen on the periodic table. He married Marie-Anne Pierrette Paulze in 1771. He was friends with Benjamin Franklin.